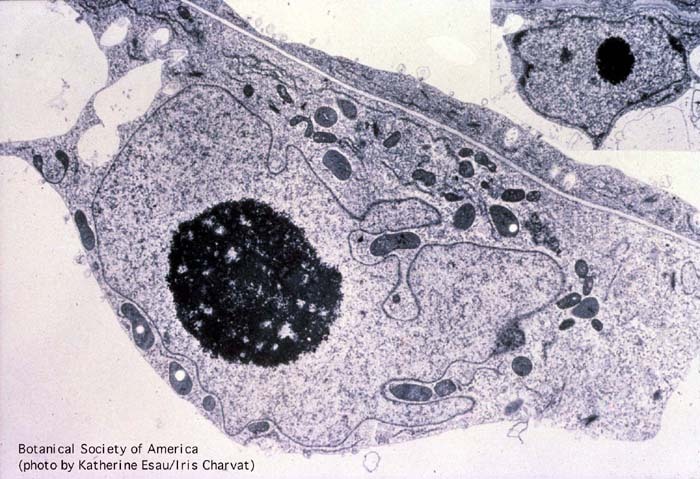 Nucleus in a xylem parenchyma cell. BSA Plant Images Online - Nucleus in a xylem parenchyma cell. At cw, primary cell wall between two parenchyma cells. Nucleus in a xylem parenchyma cell. At cw, primary cell wall between two parenchyma cells.